A maximum of 2 papers for one author is allowed. ALL submissions (initial and final) must be made on-line from this web site (online submission). If you need to modify the contact and paper information or resubmit your paper, this may be done until the submission deadline. Please use the web account you have created during initial submission, to edit or resubmit. E-mail submissions will NOT be accepted. "IEEE"s new submission standards meet full-text Portable Document Format (PDF) submission specifications markedly improving display quality and value of conference documents available through IEEE Xplore. • Download the IEEE PDF Requirements for Creating PDF Documents for IEEE Xplore® to provide authors with detailed information on how to prepare IEEE Xplore-compliant PDFs. At this location, you may also download a condensed set of instructions called "Simplified Requirements for Creating PDF Files for IEEE Xplore." • For downloading LaTeX Templates and BibTeX style, click here paper templates . Please make sure to use the template"s conference mode and to respect the layout from the sample manuscript. 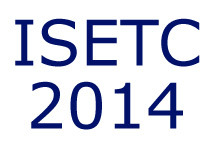 6) Submit final, IEEE Xplore-compatible PDF(s) to ISETC2014 by accessing the paper account. The deadline is 22-October-2014. Deadline for the (electronic) registration: October 22th, 2014. 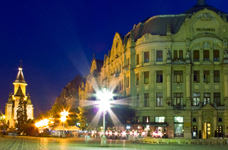 • ISETC 2014 has registered for use of a new IEEE tool: IEEE PDF eXpress™.